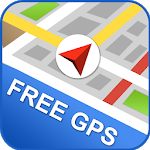 Traffic Updates: GPS & Navigation allows you to travel with less hassle and stress! Everyone hates traffic! It doesn’t only make your travel time longer, but it keeps you restless and more tired than you’ve ever been. So, getting live traffic updates is essential for a faster and more convenient trip on the road. Traffic Updates will help you navigate unfamiliar areas and avoid traffic at the same time. 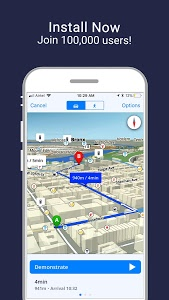 Yes, we understand that sometimes you know the way to your destination, but you cannot always foresee how heavy the traffic can be and this app is here to do the job for you. 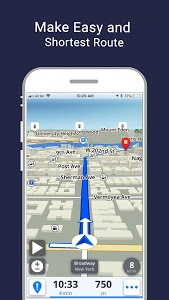 Traffic Updates: GPS & Navigation will give you live traffic updates so you can find your way around town without being stuck on the road for hours. Yes, traffic can be that grueling! 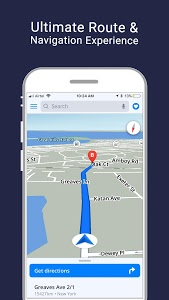 So, we will help you find the best route to lessen your travel time by avoiding traffic because we want to make your driving experience better and more enjoyable. 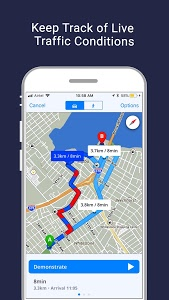 This tool is very helpful to drivers as it doesn’t only help you avoid traffic by reporting the traffic conditions, it actually offers more. 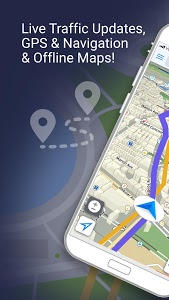 Why Use Traffic Updates: GPS & Navigation? 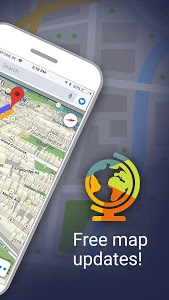 • Enjoy unlimited navigation features without hidden costs. • Speed Limits - Avoid tickets and always know the speed limit on the road. 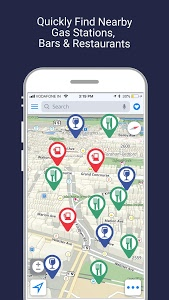 • Find all Nearby Places: Drive to the nearest ATM, school, hospital, bus station or amusement part with less traffic and in the shortest route possible. 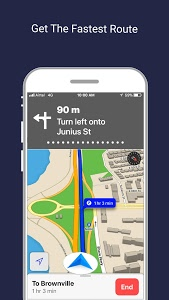 Enjoy your time on the road and drive with Traffic Updates: GPS & Navigation! Similar to "Traffic Updates: GPS & Navigation"